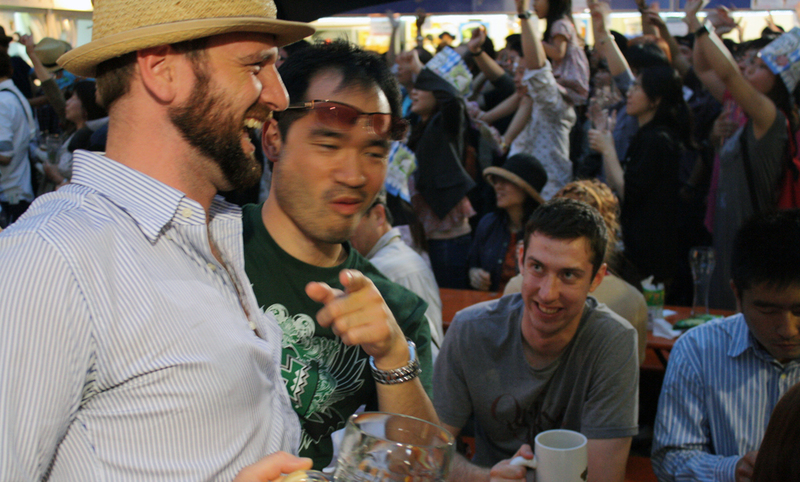 Beer, bratwurst and German oompah oompah – What could possibly go wrong? After weeks of changing weather the Tokyo skies were at their best this Saturday for the Hibiya Oktoberfest, and Cru were not slow to embrace the opportunity for a social get together. Some 15 Cru stalwarts and two new recruits came out to complete the line-up, and as usual we were strongly led by our forward pack who had secured a table in front of center stage. Never mind the exorbitant prices and long lines of cosplaying salarymen in lederhosen, the Cru went through darn near every beer on the menu and did an excellent job on pronouncing Hacker-Pschorr.